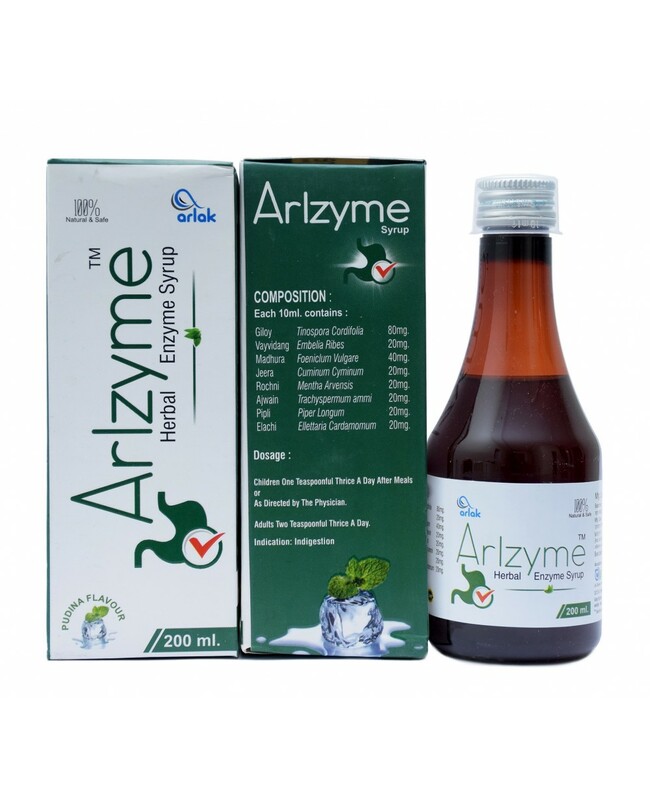 Arlak Arlzyme syrup is one of the best and revolutionary syrups that helps in relieving indigestion. Giloy, Vajvidang, Madhura, Jeera, Elaichi, Ajwain, and Pipali are the major ingredients that help in treating all the problems like Flatulence, Stomach Ulcers, acidity etc. 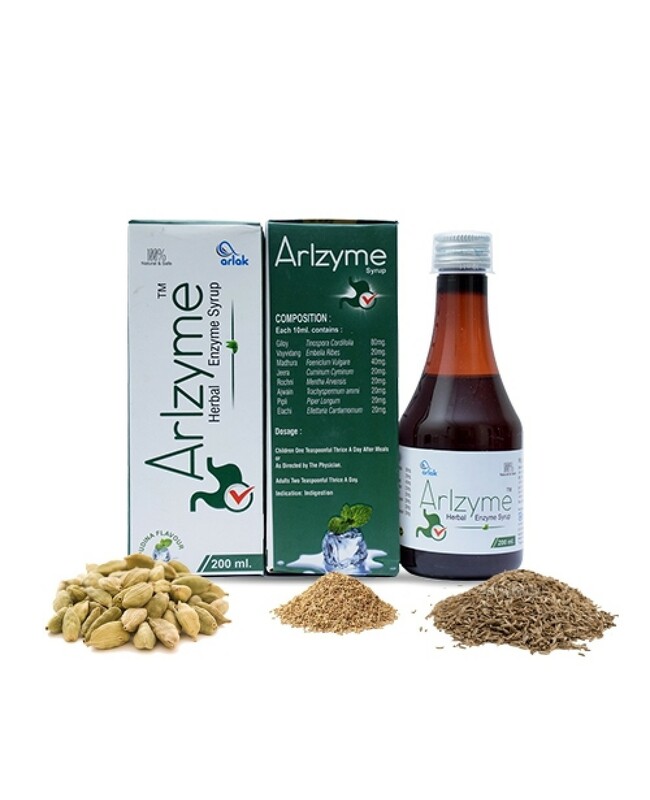 Consume One Tablespoon of Arlak Arlzyme Syrup twice a day after meal for effective results.